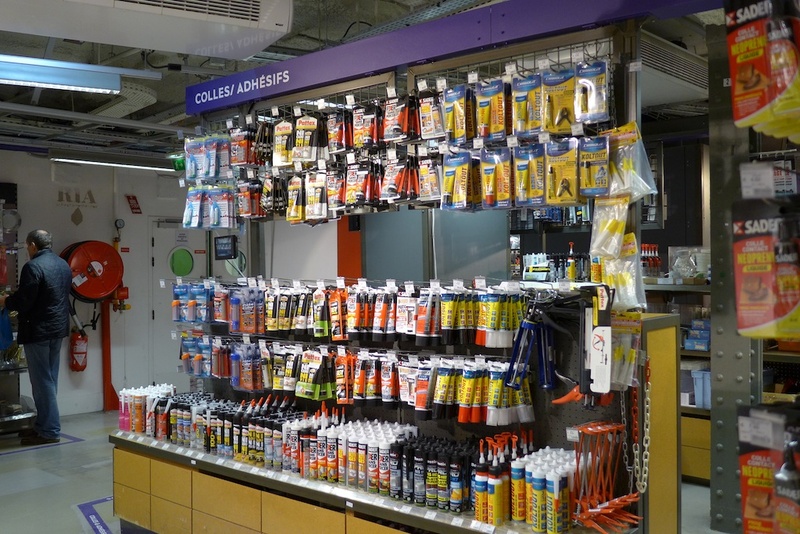 Le BHV Marais is known to be the largest toolbox in Paris, or even in France, with more than 54000 items of screws, bulbs, glues, … Are you looking for a peculiar screw ? For sure you will find it there. The basement of the department store has been modernized but has kept its soul and is still a Mecca for DIY : we must not forget that BHV stands for Bazar de l’Hôtel de Ville… which means general store of the Hôtel de Ville and the store was created in 1856 by a former ironmonger from Lyon, Xavier Ruel. 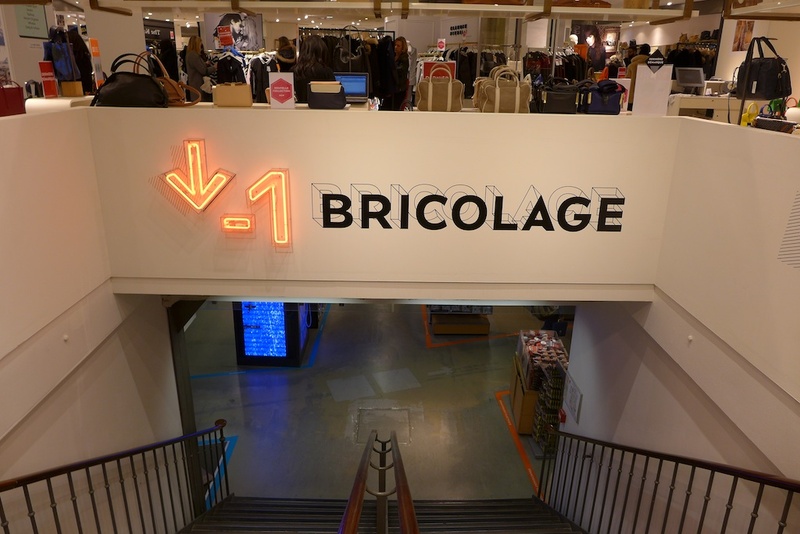 The whole department store has been renovated, especially the four first floors : more lights, more colours, younger and more modern fashion brands. 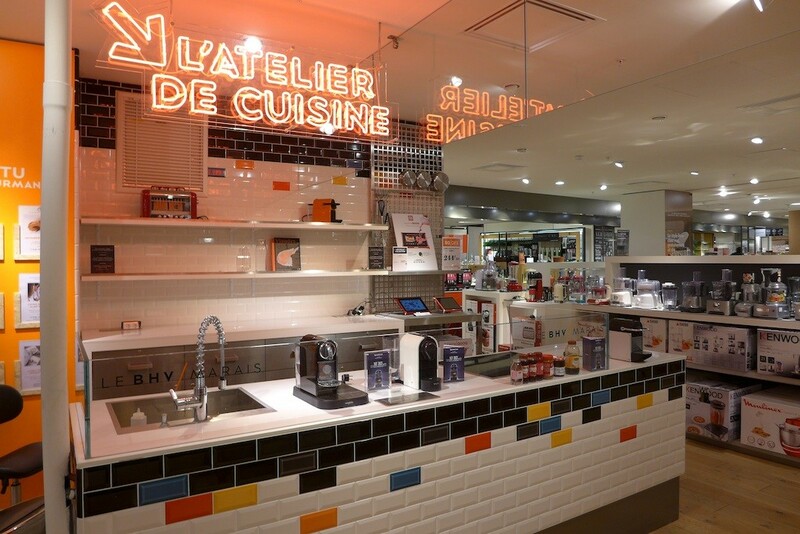 My favourite floor is the third one where you can find kitchen ware, a gourmet shop and since the renovation a cooking workshop. Early February for instance, due to Candlemas, pancakes were highlighted and several cooking classes to learn original or unusual recipes of pancakes were scheduled, some for adults, others for kids. Whether you are looking for glasses, saucepans or for a sophisticated food processor, this floor is made for you. 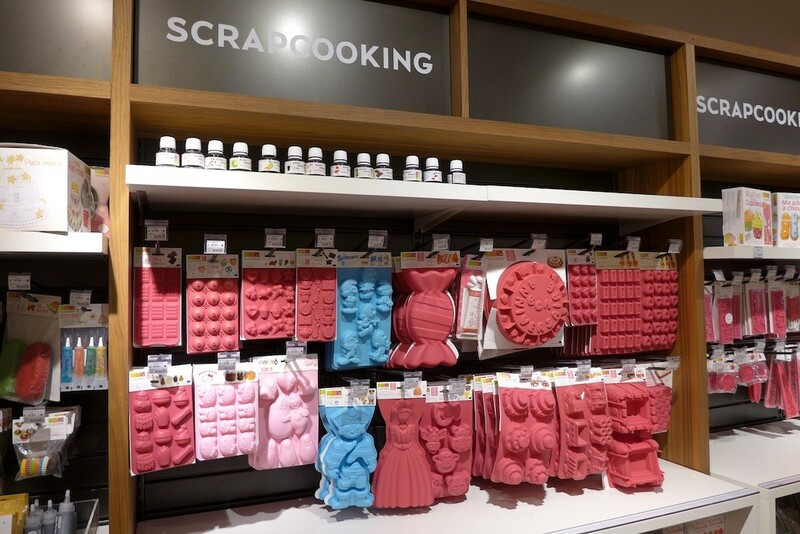 Do not miss the scrapcooking corner : amazing ! I love it ! 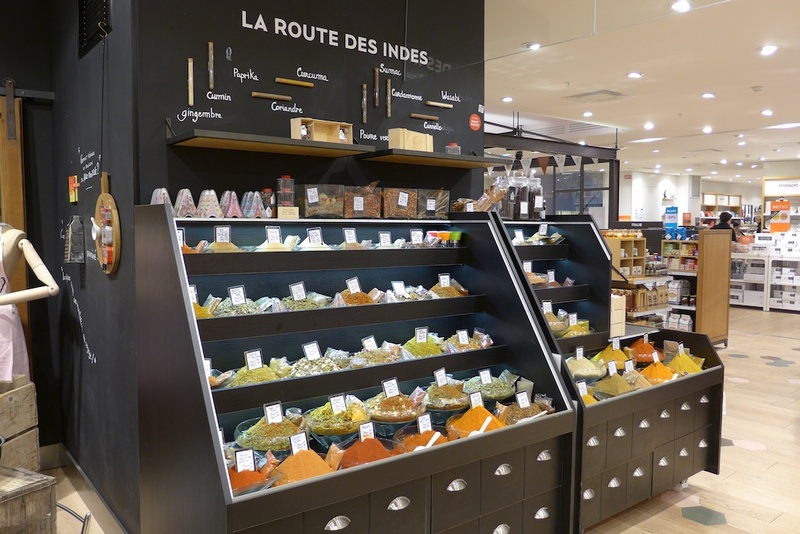 As I do love the candy store or the spices’ section with its scents and its poetic name : La route des Indes. My second favourite floor is the second floor : colourful art materials, pretty and practical storage boxes, large choice of quality stationery products, … Everything there is beautiful and refined : much taste but no luxury, which is a market position that I really like. 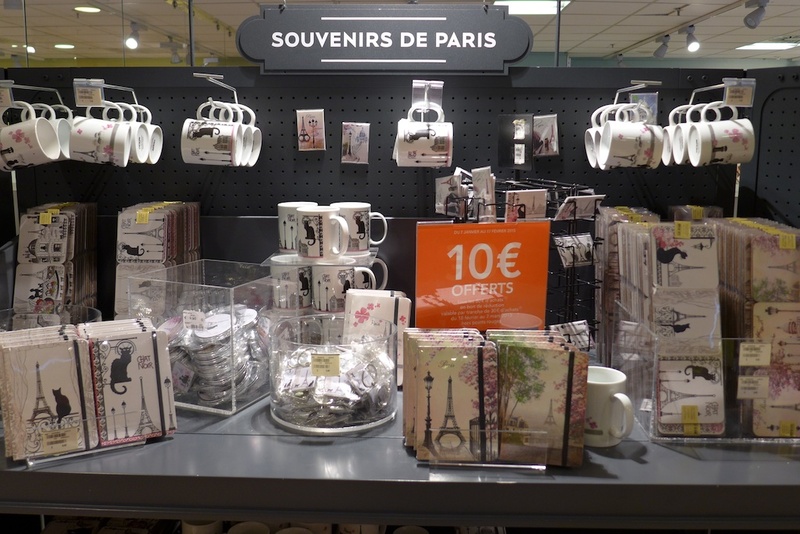 And if you are only looking for a little “souvenir de Paris”, do not miss the section dedicated to them, especially the trendy and lovely “I was in” souvenirs. At least I would recommend to have a look at the fourth floor which is the floor for decoration and lights. 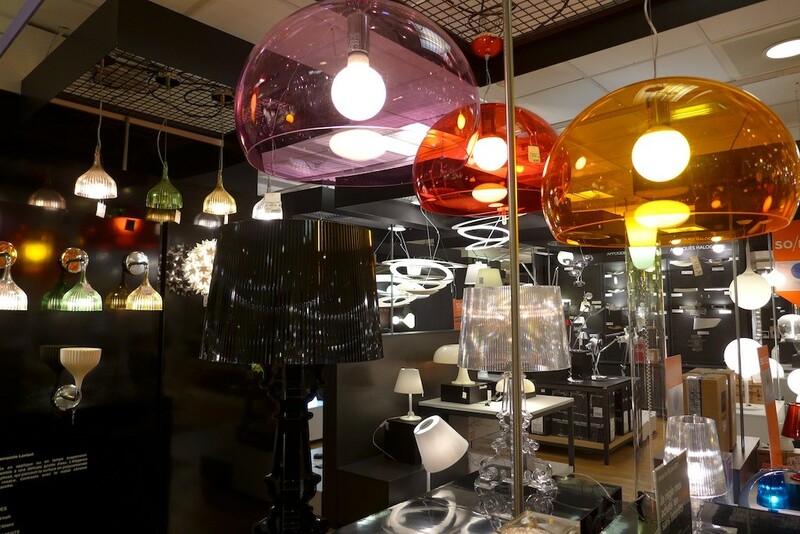 Beautiful, colourful and affordable lights are displayed. 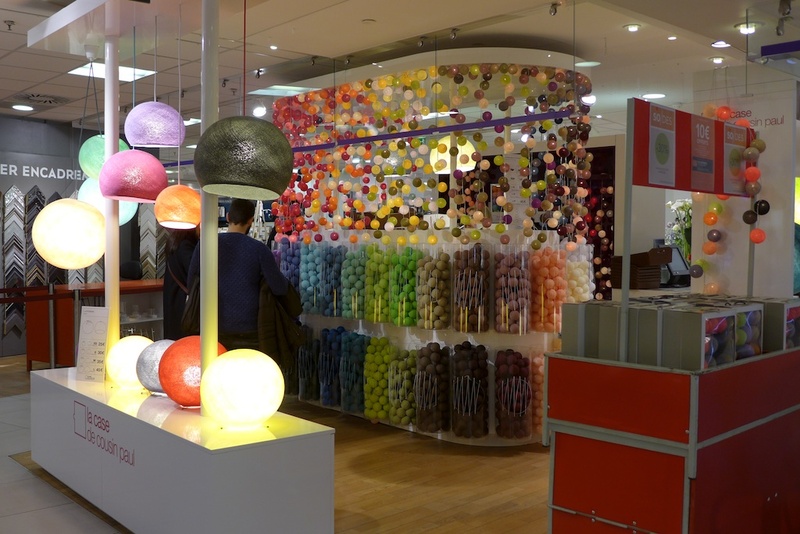 Do not miss the corner “La case de cousin Paul” next to the escalators with its fairy lights composed of paper balls of all colours. Make your choice among the fifty harmonious shades offered and for 25€ only go back home with your tailor-made twenty-balls fancy light. 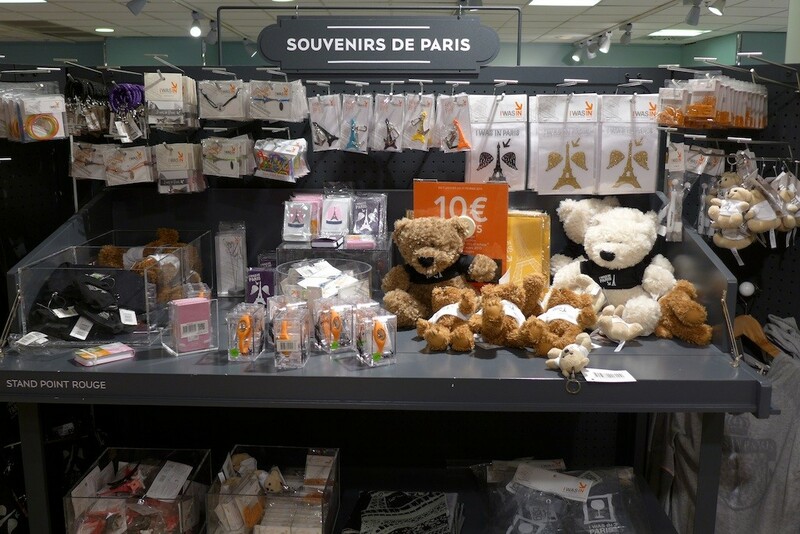 Whether you are looking for a peculiar screw, a little souvenir of Paris, for a piece of French gastronomy, culinary art or fashion wear, I am sure that you will find in the new BHV Marais something beautiful and typically Parisian to bring back home. 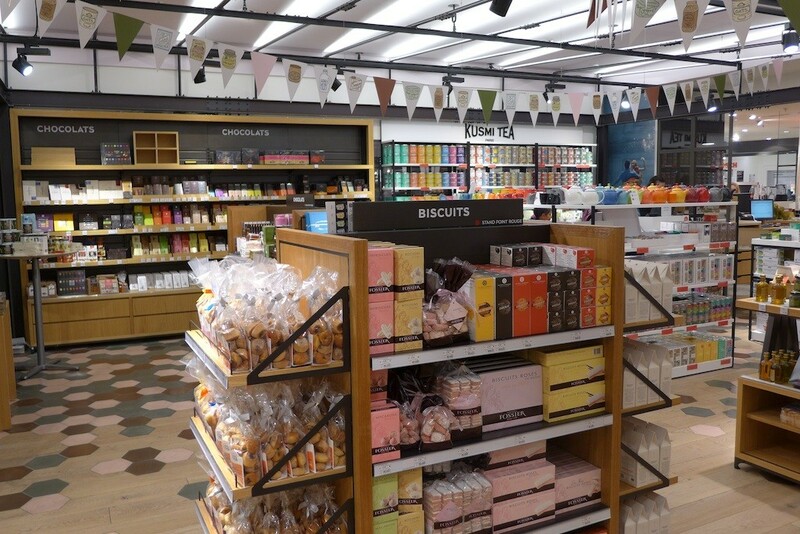 And even if you do not buy anything you will have been delighted with the colourful departments and will have happy memories with the visit itself. 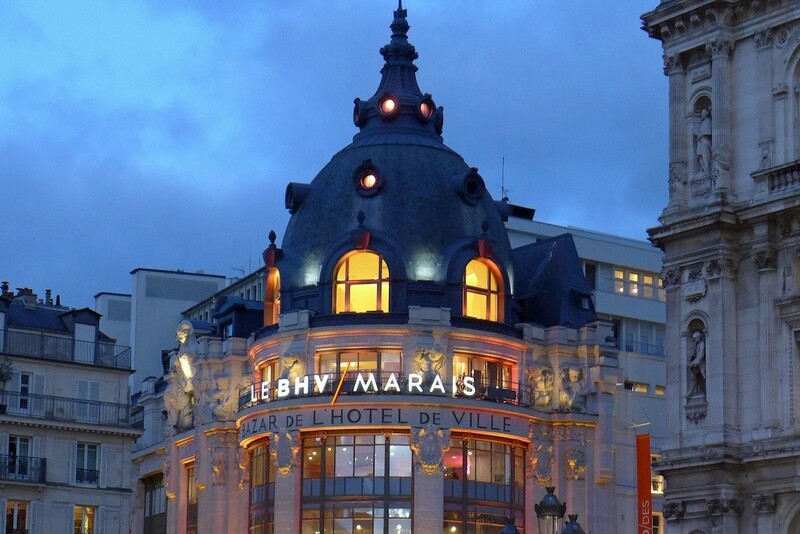 As you may have guessed the BHV Marais is now my favourite department store in Paris !